﻿ Best Price on Gipsy Ranch Rooms in Cabarete + Reviews! Gypsy Ranch Rooms is located 15 minutes’ walk from the Encuentro Surf Beach and 3.1 mi from Cabarete Town Center, and is surrounded by domestic and farm animals. It features a swimming pool, barbecue facilities and free Wi-Fi in the public areas of the property. This accommodations offers rooms and studios with fan. 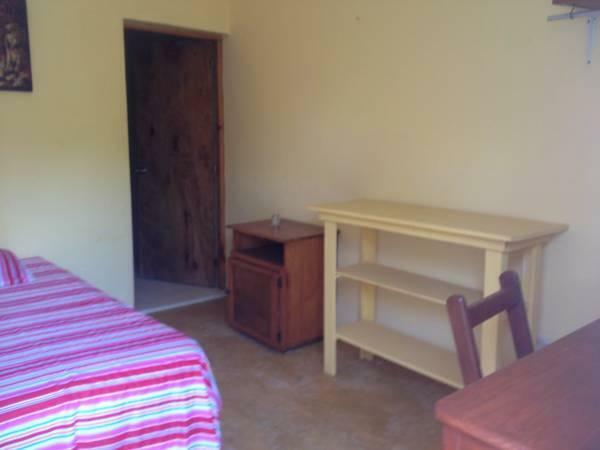 The rooms have private or shared bathroom and the studios also include a kitchenette with fridge and dining area. A variety of restaurants can be found in Cabarete town center. There is also a supermarket where guests can buy groceries and make their own meal. Activities like horseback riding on the beach, surfing and tours to Monkey Jungle Park 4.3 mi away and to Damajagua River 30 minutes’ drive away can be arranged at this property. Gypsy Ranch Rooms is 5 mi from Sosua Town Center and a 15-minute drive from Gregorio Luperon International Airport. Kite Beach is 1.9 mi away.